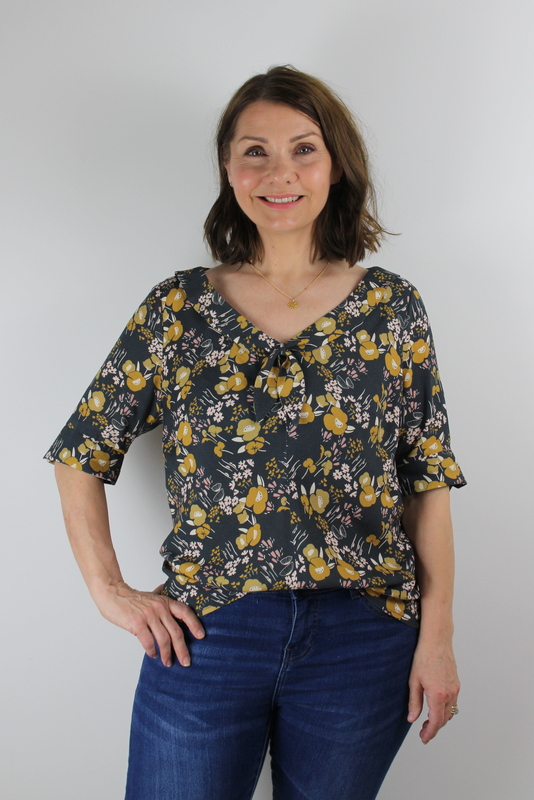 Hi all, I’m just jumping on here to let you know that my latest make for the Sewisfaction Blog is now up and it’s my review of the Jasmine top from Colette Patterns. As usual with blog posts that I write for others, I will include a link here so that you can read the full review, but I thought I would share a couple of pics so that you can see what I’ve been up to. The Jasmine is a pretty little top which has a cute little neck tie. You can choose what size neck bow to make and also there are two different sleeve options. My fabric choice was this stunning grey and mustard Dashwood rayon, and as you would expect from a Dashwood fabric, it’s totally lovely. 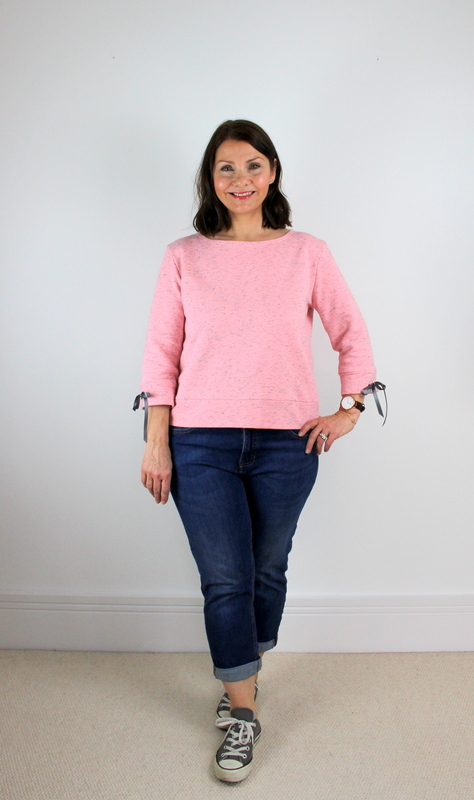 This make wasn’t entirely without errors unfortunately, but I’ll let you head on over to the Sewisfaction blog to see where my rush in cutting it out meant that I ended up with a slightly larger top than I was expecting! Another Cocowawa Chestnut Sweater, with added bows! 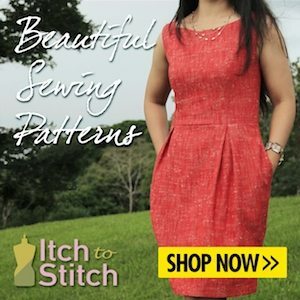 It’s no secret that I absolutely love this sewing pattern. Almost as soon as Cocowawa Crafts released this pattern last Autumn I had snapped it up, downloaded the PDF and whipped up a couple of versions which you can take a look at here. During the #sewbrum sewing meet up last October, I decided that along with some fabric purchases from the rag market, I wanted to save some of my precious fabric spending money on a special purchase of some fabric from Guthrie and Ghani, as this was where we would be ending up the day. My special purchase was this Rose Pink Marl Fleeceback Jersey. It’s just beautiful. Immediately I knew it would end up as another Chestnut Sweater. I love bows and ribbons, and decided that with this version I would add bows at each cuff. Why not? I already had some grey ribbon in my stash which would be perfect for the bow at the back of the neck and just needed to purchase some narrower ribbon for the cuff bows. Oh by the way, I have chosen to make view A again, which has the ribbon at the centre back neck. So my plan was to insert the cuff ribbons through two openings in the cuff piece. The cuff piece is basically a rectangle of fabric which is folded in half lengthwise and attached to the sleeve. Before I attached it to the sleeve I needed to work out where I wanted the openings (as I wanted them to only be on the outer layer of the cuff). I folded the cuff, pinned it to the sleeve and carefully tried it on to work out where I wanted the centre of the bow to sit. I marked this point on each sleeve. After unpinning the cuff pieces again, I measured each one to make sure the point where I wanted the centre of the ribbon to sit was evenly matched on each cuff and adjusted them very slightly so that they matched perfectly. I then worked out how far apart I wanted the openings to be – in my case 4.5cm, and also marked these positions on each cuff. So there are a couple of different ways that you can make the openings for the ribbon. I chose to use eyelets. These come as a kit with the tool itself included. You can select different metal colours and I chose a gold finish. There are also different sizes and I used the 5.5mm size. The instructions on the back of the packet are a little vague, so I resorted to good old YouTube for some visual help with how they work, and found a good video which helped me work out how to fix them. You’ll need a hammer, and my advice would be to hit it REALLY hard, this way you get a good strong finish and it won’t come apart at a later date. This is something that really needs at least a couple of practice attempts on a scrap of fabric. It’s good fun though! If you don’t have eyelets, you could always sew little button holes to make the openings. Or perhaps take the ribbons, tie them in a bow and knot them tightly and just sew the knotted bow on the cuff where you want it. I was able to then attach the cuffs to the sleeves, and thread the ribbons through after they were attached using a large blunt darning needle. They are super cute and I am really pleased with how they have turned out. I warn you now, this is not the last Chestnut Sweater. You will be seeing more – I just love them!